C.1886, Ansonia, Hanging Brass Antique, 8-day double spring time only. This clock got separated from its chain, and has had a heavy hanger affixed with plumbers steel strapping on the rear. All of the porcelain numerals are intact and the clock is running. For reference, see Ly\'s Ansonia book (1998), page 216. 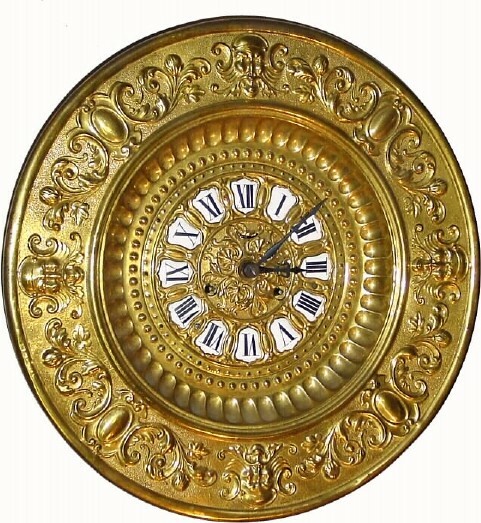 Diameter of brass charger 14"